Did your mother tell you that liberals hate science? Did your Facebook feed pop up with an article on a new pesticide that's going to kill us all? Did one of your friends breathlessly tell you that president-elect Donald Trump was going to pardon mass shooter Dylann Roof? You might have heard any or all of these stories, but there's one thread connecting all of them: they're not true. Thanks to KT Lowe, Indiana University East Campus Library. 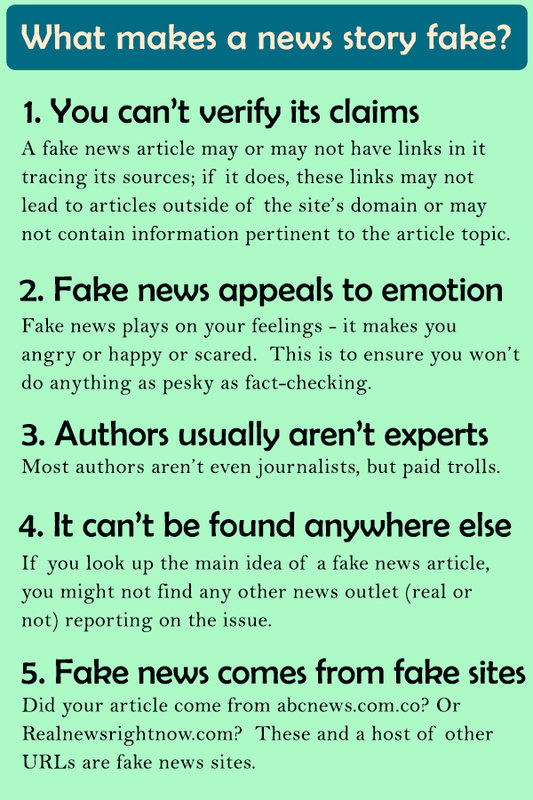 CATEGORY 1: Fake, false, or regularly misleading websites that are shared on Facebook and social media. Some of these websites may rely on “outrage” by using distorted headlines and decontextualized or dubious information in order to generate likes, shares, and profits. No single topic falls under a single category - for example, false or misleading medical news may be entirely fabricated (Category 1), may intentionally misinterpret facts or misrepresent data (Category 2), may be accurate or partially accurate but use an alarmist title to get your attention (Category 3) or may be a critique on modern medical practice (Category 4.) Some articles fall under more than one category. 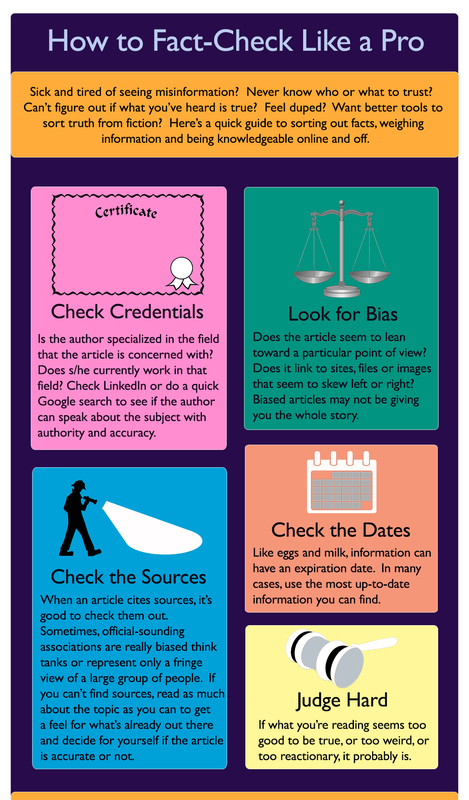 Assessing the quality of the content is crucial to understanding whether what you are viewing is true or not. It is up to you to do the legwork to make sure your information is good.